The falling leaves and cooler breeze means it’s time to pull out the pumpkin recipes and start thinking about the holidays! Take a look at five of our best fall recipes that will tantalize your tastebuds! Yams, brown sugar, cinnamon and mini marshmallows are a few ingredients that combine to make this side dish that will become a Thanksgiving staple. 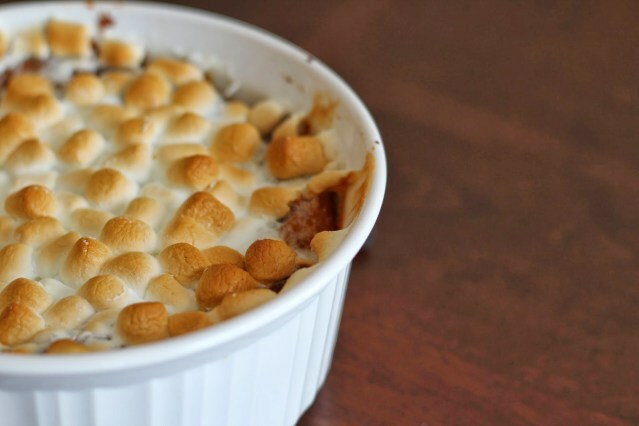 This sweet potato casserole with marshmallows recipe is quite simple to make, especially considering how wonderful it tastes… be prepared to want seconds! Searching for a pumpkin dessert the kids will love? This is it! 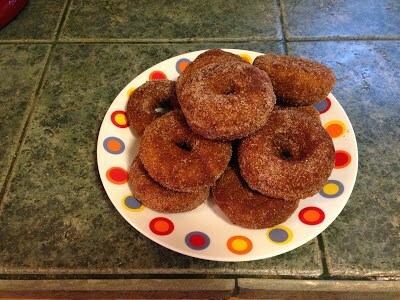 There is nothing like these soft donuts topped with melted butter, sugar and cinnamon. Our baked pumpkin donuts recipe is perfect to have your children help you cook too! Looking to expand your menu for Thanksgiving? These Thanksgiving recipes will go over well! 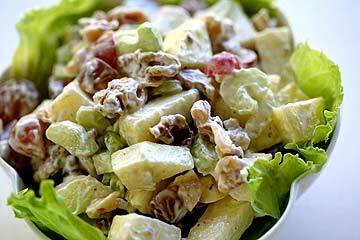 From Waldorf salad to corn casserole to buffalo chicken dip, these options will each add something extra special to your Turkey Day. Pumpkin muffins. Need we say more? 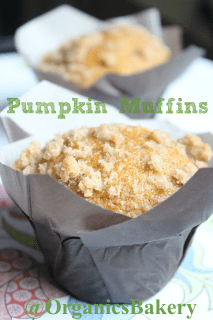 This pumpkin muffin recipe features real pumpkin, eggs and cane sugar and MAN are they scrumptious! Whether you are looking for something to eat for breakfast or dessert, these pumpkin muffins will deliver. Enjoy! A recipe that combines heath bits, pumpkin puree, yellow cake mix and caramel sundae sauce… YES, please! 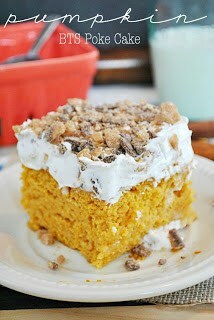 This pumpkin poke cake recipe is melt-in-your-mouth amazing and good for any get together. Did we mention it has a layer of Cool Whip? Fall will be here before we know it which means it’s time to start pulling out those pumpkin recipes and thinking about your Thanksgiving side dishes. It’s easy to get lost in all of the recipes featured on Pinterest, but we’ve made (and loved) each of these recipes and can attest to how delicious they are! Hope you enjoy!